Andrographis (Andrographis paniculata) is an herb long used in traditional Chinese medicine and ayurveda. Also known as "Indian echinacea," andrographis is a bitter-tasting herb rich in compounds known as andrographolides. These compounds are thought to have anti-inflammatory, antiviral, and antioxidant properties. There is not enough scientific evidence to support the use of andrographis for most of these health benefits. In a research review published in 2017, scientists sized up 33 previously published clinical trials and found that andrographis appears to be beneficial for relieving symptoms of acute upper respiratory tract infections when compared to other herbs, standard care, or a placebo. Andrographis was also found to shorten the duration of cough, sore throat, and sick days compared to standard care. The researchers, however, noted that the overall quality of studies was poor and that well-designed clinical trials are needed. For a review published in Alimentary Pharmacology and Therapeutics, researchers analyzed 21 previously published studies on the use of herbal remedies in the treatment of ulcerative colitis and Crohn's disease. For ulcerative colitis, andrographis extract was considered superior to a placebo in inducing remission or a response. Andrographis may help to reduce fatigue in people with multiple sclerosis, according to a small study published in BMC Neurology. When compared to participants who took a placebo, those taking andrographis twice daily for 12 months had a significant reduction in fatigue severity. There was no difference in relapse rate, inflammatory measures, or disability status. Andrographis may trigger adverse effects like headache, fatigue, allergic reactions, nausea, and diarrhea. Andrographis should not be administered intravenously. Acute kidney injury has occurred after intravenous use of Andrographis compounds. Due to a lack of research, little is known about the safety of using Andrographis. It's important to keep in mind that supplements haven't been tested for safety and dietary supplements are largely unregulated. In some cases, the product may deliver doses that differ from the specified amount for each herb. In other cases, the product may be contaminated with other substances such as metals. Also, the safety of supplements in pregnant women, nursing mothers, children, and those with medical conditions or who are taking medications has not been established. There is no single recommended dose of Andrographis. Various doses have been studied in research. For example, in studies examining the effect of the herb on the common cold, a combination product (4-5.6 mg andrographolide, and 400 mg Siberian ginseng) was taken three times daily. Another study used Andrographis extract (KalmCold) 200 mg daily for 5 days. For the relief of sore throat, a dose of 3-6 grams Andrographis was used daily. And for ulcerative colitis Andrographis extract, 1200-1800 mg was used daily for eight weeks. Andrographis is available in capsule and tincture form, Andrographis can be found at most health food stores. Due to the limited research, it's too soon to recommend Andrographis as a treatment for any condition. If you're still considering using the herb, make sure to consult your healthcare provider first rather than self-treating and avoiding or delaying standard care. Bertoglio JC, Baumgartner M, Palma R, et al. Andrographis Paniculata Decreases Fatigue in Patients With Relapsing-Remitting Multiple Sclerosis: A 12-Month Double-Blind Placebo-Controlled Pilot Study. BMC Neurol. 2016 May 23;16:77. Hu XY, Wu RH, Logue M, et al. 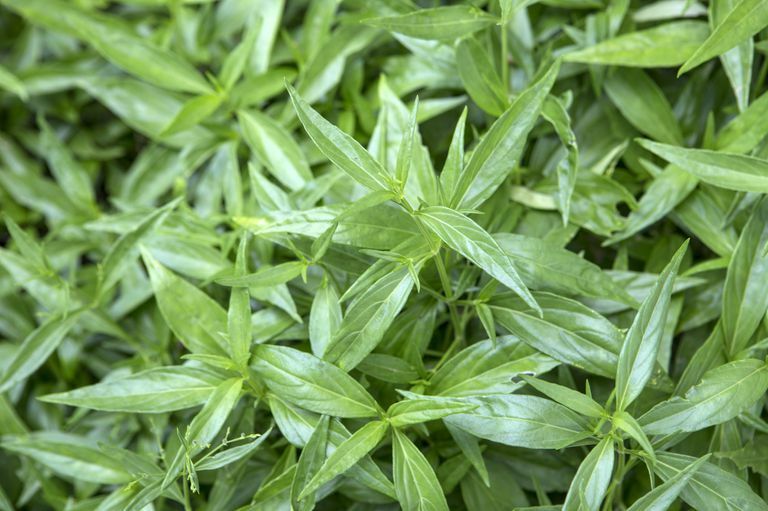 Andrographis Paniculata (Chuān Xīn Lián) for Symptomatic Relief of Acute Respiratory Tract Infections in Adults and Children: A Systematic Review and Meta-Analysis. PLoS One. 2017 Aug 4;12(8):e0181780. Ng SC, Lam YT, Tsoi KK, et al. Systematic Review: The Efficacy of Herbal Therapy in Inflammatory Bowel Disease. Aliment Pharmacol Ther. 2013 Oct;38(8):854-63.